A big thank you to Pat at Ryco for generously offering us a bigger, brighter space for our monthly meetings. Our group is growing and this new space is going to be wonderful from now on. 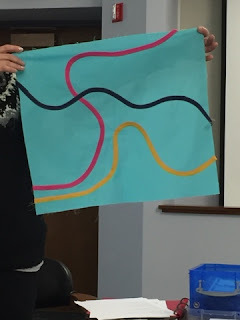 Quilt Critique: What makes a quilt modern? We had a lively discussion of traditional vs. modern. We will continue this critique each month since it was so helpful for m any of us. 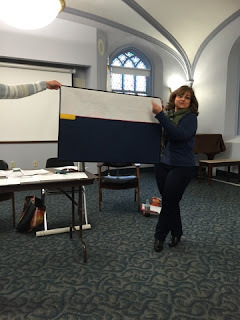 Monthly Topic: Leslie introduced our new monthly activity challenge. "Color Theory" Block of the month, on Craftsy.com. Click here for details to sign up for this free ongoing class. 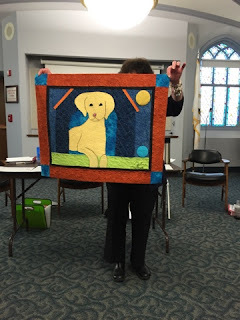 Please bring your completed January Block to the next meeting in April. WIP Switch Challenge: If you have WIP's, post them on our FB pages and anyone who wants to take up that challenge can communicate with the member. If you aren't on FB, feel free to bring it to the meeting and you will have the opportunity to show it. 3x3 Binding Demo: Carole Ann, Tara and Coco each demonstrated their own personal binding method. This was a huge hit and everyone took some valuable information away from that to practice at home. 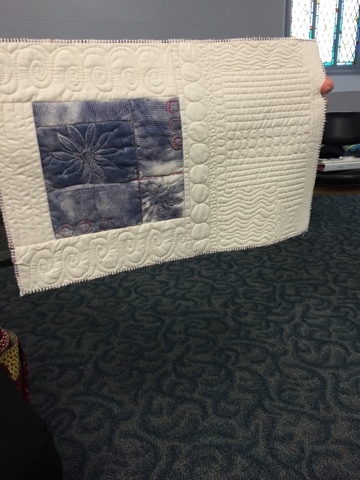 Show & Tell: Here are some of what our talented members are quilting this month! 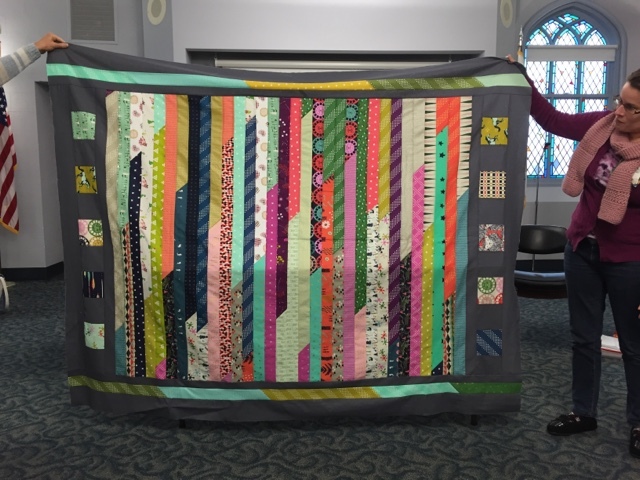 Tara's black, yellow and white quilt is striking! 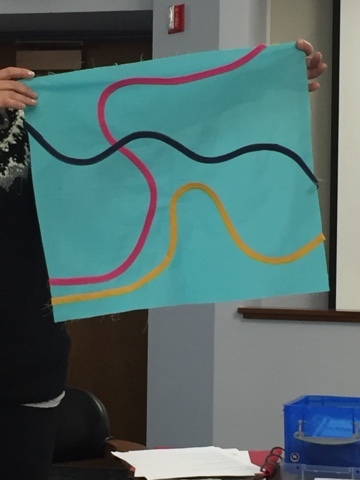 Sue's pastel table runners were beautiful! Maria showed us her gorgeous quilt! 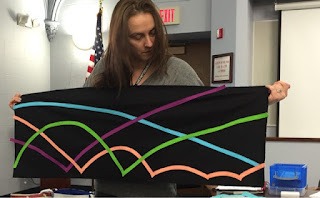 Jenn introduced us to her jelly roll race quilt. Suzanne made an Art quilt utilizing the "couching" technique. 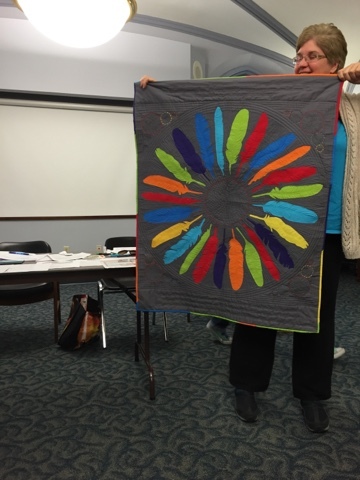 Kathy had expirimented with an Aboriginal with solids quilt! Charity's Disappearing 9 Patch was a big hit! 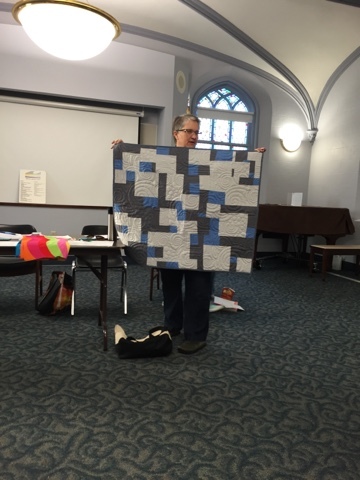 Carole Ann showed us her scrap cascade quilt! 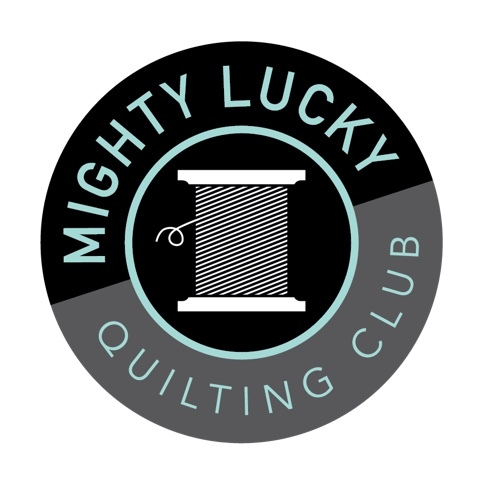 New Challenge Opportunity for our RIMQG Guild Members! 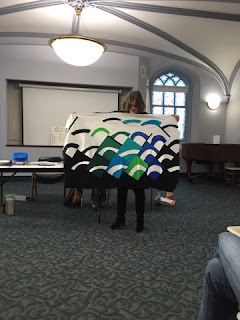 Do you want to have your modern quilt exhibited in a major quilt show? Now is your chance! click here for details. Open to all RIMGQ Members. 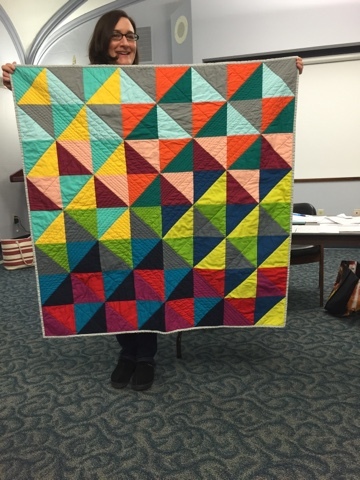 Modern Quilt Guild (MGQ) Michael Miller Challenge: Carole Anne will keep us posted on this challenge. When the fabric arrives it will be distributed to those who signed up. 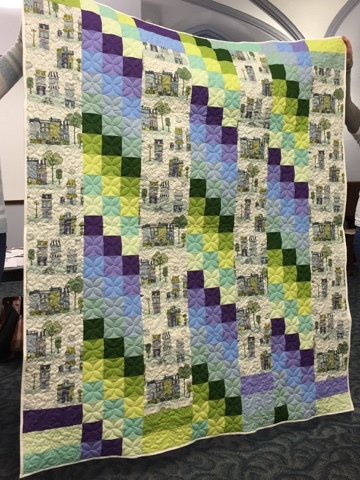 Quilt Shows in and around New England this Spring: We can arrange carpooling and scheduling on our FB RIMQG Members page. 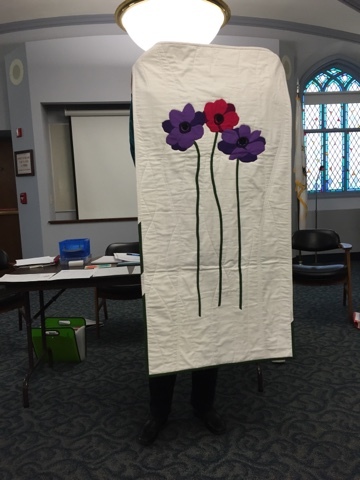 National Quilting Day is Saturday, March 15. 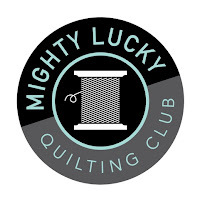 Quilt Guild Members--bring your valid guild membership card and get in free! 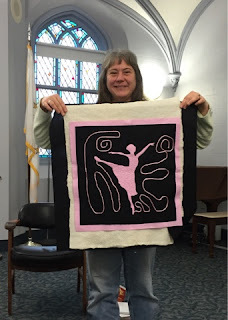 Rachel May is a founding member of the Boston Modern Quilt Guild. 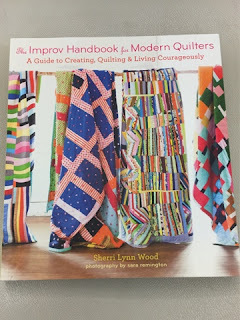 She will be signing her new book, Quilting with a Modern Slant. 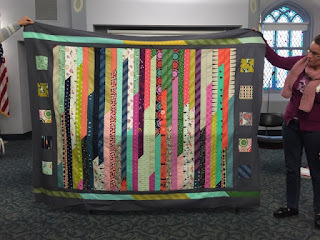 Quilt Con - February 2015 This is The Modern Quilt Guild's big show! check out the whole site and consider saving up for this Austin, TX trip.